To Love a Rose: Praise God for Praise Reports! Photo courtesy of Tainted Canvas. In the midst of so much turmoil going on within my family with my mom being sick again and my sister battling catamenial epilepsy and our adoption, I think I forget to stop and just praise and thank God for all of the good gifts and wondrous protection He has given us. I want to take some time and do that now. First off, W is on a new hormone treatment for her catamenial seizures; and so far, so good! *thumbs up* Monday, she had a very small seizure (twitching fingers and feet); but it was NOTHING compared to the grand mals she had been having twice a month. I just KNOW that the current treatment is working! For those curious, catamenial epilepsy is marked by seizures that occur only around your period and/or ovulation in your cycle. (I wrote about it previously here .) W's treatment is to be on very high doses of progesterone (a natural anti-convulsant) along with several other herbs and vitamins and minerals that build up the body and adrenal glands in the wake of seizures. She is feeling and looking so much better! She is almost completely off of the AED's (anti-epileptic drugs) that her previous (IDIOT) neurologists had put her on (and which did NOTHING but make her feel nervous and crazy all the time). So, she is on her way to total healing; and we are all so grateful to God for answering that prayer for us! As for myself, you might remember that I had some ovarian cysts burst on me (three to be exact!). It was certainly not fun. To top it all off the Chinese herb regimen I had been on made me bleed continuously from October 3rd until...well, I'm still bleeding. I do think, however, that since this was my first cycle off of the herbs and my first cycle back on BCP's in literally years, that my body was just going through a lot. I start this pack of pills on Sunday, if the bleeding hasn't stopped by next week, I'll have an u/s done to see if there's anything going on. Also, a "persistent, drippy period" was a supposed side-effect of the Chinese herbs I took; so, I might order the herb they said would help end said non-stop period and go from there. ANYWAY, Dr. K had done my one-year colposcopy after my LEEP procedure. I was a little upset, because just by looking at my cervix he was saying that it looked as though there was nothing to do be done - that I would have cervical cancer one day. I was really upset with him for being so down and not even giving me a chance before jumping to conclusions. I went home and began to pray. 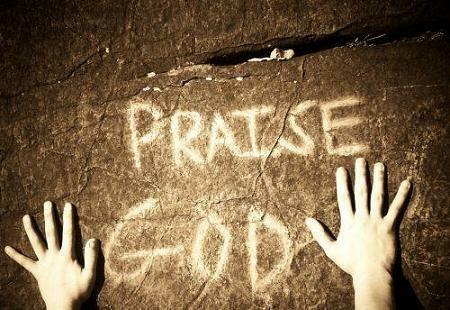 I told God that, like David said in the Psalms, if He wanted me to be able to praise His name, He had to give me something to praise him about. That a dead man cannot praise Him. A sick person cannot be a light and witness of His strength and power. A 30-year-old with cervical cancer is not a good example of what his might can do. I prayed that the results of my biopsy would boggle the minds of everyone involved - from the lab techs to the nurses to my doctor. And you know what????? They came back completely NEGATIVE for EVERYTHING!!!!!!!!! I have no cancer. I have no pre-cancer. My cervix is healthy and looking good! When Dr. K's nurse, C called to tell me the results her EXACT words were, "Well, Mandie, all of our minds are just BOGGLED by this; but it is the best possible result ever - you are completely healthy and are absolutely pre-cancer free." YES!!!!! Thank you, Jesus! I just KNOW that He answered my prayers EXACTLY the way I wanted them answered! What an amazing and wonderful God I serve. He is truly the good daddy, the wonderful philosopher, the mighty physician! How wonderful is His name in all the universe! Right now we're going through some rough news with my mom. She is sick, but God is mightier than any disease - no matter how hefty it may seem! I KNOW He is healing her (she's already healed! ), and that she will live out her many years to come praising His name and showing people how mighty He really is! So happy for all of your good news! God is good! Where in the World is Baby C?